Near Katsiveli in the evening. 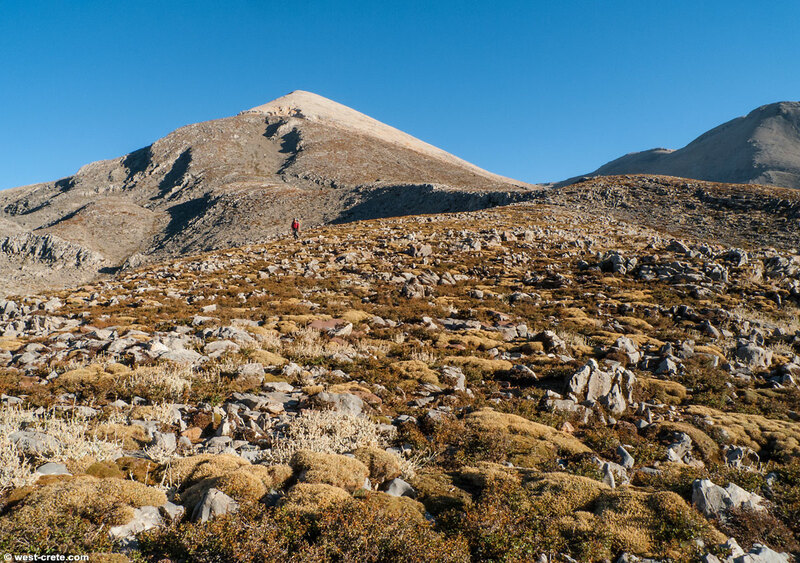 We descended the direct route that heads down straight north from the summit of Pachnes and passes to the West of the summit of Modaki (that's the conical summit in the picture). Although this route (or one of the possible ones) is marked in the Anavasi map of the White Mountains this is not a path, just a shepherds short cut that follows the most logical route. What is interesting in the photo is how dense the pincushion plants are (essentially Acantholimon androsaceum and Astragalus angustifolius with some low growing Berberis added for good measure). Now they are dry but the hill must look really beautiful when they all flower (in June and July). I must go back to that spot at the right time of the year.